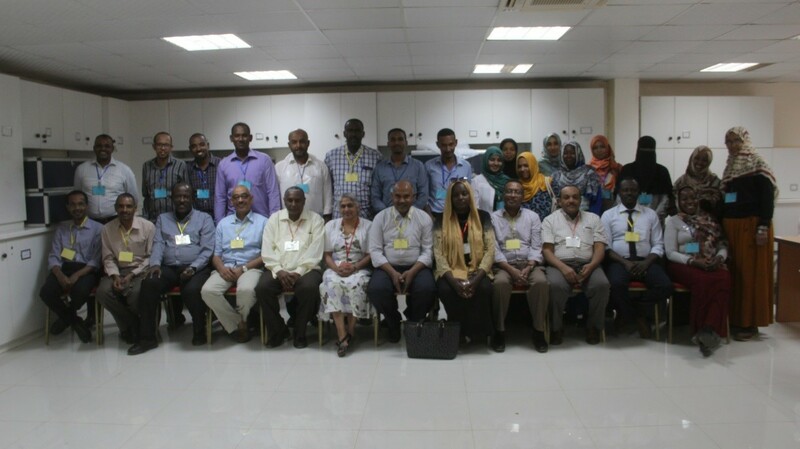 An invitation was extended to me by the Sudanese Association of Paediatric Surgeons (SAPS) to provide neonatal teaching, ward rounds and assist the local faculty in design a neonatal skills course to include as part of their curriculum. My trip was fully sponsored by SAPS. Once the invitation arrived I engaged the Sudanese diaspora to participate in this venture. There were 3 diaspora: Haitham Dagash (UK), Sami Babiker AwadAlla (Ireland), Abdelbasit Elsayed Ali (Middle East). Invited lecture and welcome. I was warmly welcomed by the faculty with great hospitality. I gave my first visiting lecture with some great cuisine to follow. The faculty including the trainees were very interactive and posed relevant questions to neonatal conditions. Areas SAPS wish to develop is engagement with fetal medicine and development of fetal medicine in their quaternary hospital (Soba University Hospital). Preparation for neonatal skills course and train the trainers. The team included myself, 3 diaspora and 10 local faculty. I met the local faculty at the education and skills centre at Soba with the view to design the course and prepare the tissue. The local faculty chose conditions relevant to their needs such as Bowel anastomosis, stamm gastrostomy,diamond duodenal anastomosis with discrepancy, pyeloplasty, and a TOF model. Sheep tissue was available and the local faculty were encouraged to design models that will replicate the neonatal condition with some guidance from myself. The models were mainly designed and created by the local faculty to the extent that following the main pre-course brief no foreign input was necessary except on a supervisory basis. This was the most satisfying and exhilarating feeling that at this point the course ownership could be totally with local faculty. Venue was the education and training centre at Soba University Hospital in Khartoum, the main teaching hospital for the country. The facilities were excellent. It was a purpose built centre with enough material, technical assistance and administrative help. *Due to our ignorance of the anatomy of the sheep stomach we were preparing the stomach inside out as that is how it was presented to us post washing. It took the technician to enlighten us that we were preparing the stomachs inside out. Model 4: PYELOPLASTY: Sheep bladder as pelvis and small bowel as ureter. During the course the electricity went and out came the mobile phone torches to prevent interruption of the course before the generators kicked in. The course ran on time with diaspora and local faculty totally in control and my role was pure observership and support. We had limited the participant numbers to 17 to allow for modification of the course as this was the first of its kind. Each station was led by 2 faculty members. All 17 forms were collected. Excellent course with excellent facilities. Run course for 2 days. Introduce colostomy of different types, diaphragmatic hernia model and percutaneous line insertion models. Introduce session on challenging cases. My personal view is to tighten up the TOF model by redesigning the TOF part of the model. Simplify the pyeloplasty technique to keep to the Anderson H type. The course to be run independently as part of curriculum twice a year with diaspora and local faculty. Invite external review every 2-3 years to evaluate course. Visit to the Woman’s University showed valued education for women. The university is expanding and providing education for girls in the country and for the neighbouring countries. It has an impressive vision and having met some of the medical students, they are all very talented and confident. The need for this is to bridge the gap for women in education. Visit to Soba University Hospital . A quaternary centre with no acute admissions but a specialised women and children centre which supports 4 tertiary paediatric surgical centres of which 3 are in the city centre of Khartoum and one in the Southern region. Soba facilities are very impressive as they have purpose built theatres and facilities for day and inpatient care. The renal transplant programme is thriving and their neonatal facilities with neonatal nursing care is of a high standard. Police hospital was rebuilt a year ago and here again the facilities are excellent. A complex TOF patient was presented and their outcome was very good. The trainees were well engaged and asked relevant questions. The presentation of the statistics of the country and hospital was of a high standard with well-trained confident trainees. There trainee numbers are now 15 with 70% female intake. Visit to the specialisation board was very encouraging. 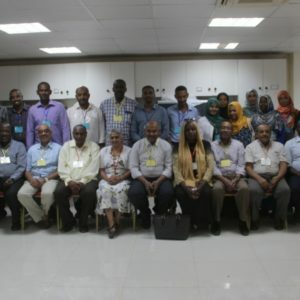 North Sudan has formed a comprehensive specialisation board to standardise training for all the medical and allied faculty. They have multiple collaborative partners from the high income countries (HIC) as well as COSECSA and other middle income countries (MIC) such as South Africa. My impression is that North Sudan has progressed remarkably in the paediatric surgical field and is soon reaching facilities and outcomes in the HIC. The facilities are improving, the training centre is excellent, there are dedicated paediatric surgeons with good training programmes and a will to do better. Thank you for a wonderful journey and a special thanks to Aziza Elnaeema my host. View our archive of newsletter emails from our Honorary Secretary.